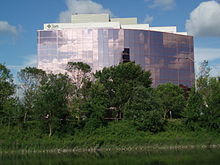 Sun Microsystems, Inc. was an American company that sold computers, computer components, software, and information technology services and created the Java programming language, the Solaris operating system, ZFS, the Network File System (NFS), and SPARC. Sun contributed significantly to the evolution of several key computing technologies, among them Unix, RISC processors, thin client computing, and virtualized computing. Sun was founded on February 24, 1982. 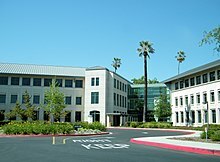 At its height, the Sun headquarters were in Santa Clara, California (part of Silicon Valley), on the former west campus of the Agnews Developmental Center. Sun products included computer servers and workstations built on its own RISC-based SPARC processor architecture, as well as on x86-based AMD Opteron and Intel Xeon processors. Sun also developed its own storage systems and a suite of software products, including the Solaris operating system, developer tools, Web infrastructure software, and identity management applications. Other technologies included the Java platform and NFS. In general, Sun was a proponent of open systems, particularly Unix. It was also a major contributor to open-source software, as evidenced by its $1 billion purchase, in 2008, of MySQL, an open-source relational database management system. At various times, Sun had manufacturing facilities in several locations worldwide, including Newark, California; Hillsboro, Oregon; and Linlithgow, Scotland. However, by the time the company was acquired by Oracle, it had outsourced most manufacturing responsibilities. On February 24, 1982, Vinod Khosla, Andy Bechtolsheim, and Scott McNealy, all Stanford graduate students, founded Sun Microsystems. Bill Joy of Berkeley, a primary developer of the Berkeley Software Distribution (BSD), joined soon after and is counted as one of the original founders. 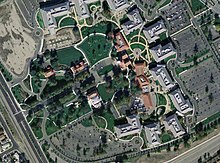 The Sun name is derived from the initials of the Stanford University Network. Sun was profitable from its first quarter in July 1982. In the dot-com bubble, Sun began making much more money, and its shares rose dramatically. It also began spending much more, hiring workers and building itself out. Some of this was because of genuine demand, but much was from web start-up companies anticipating business that would never happen. In 2000, the bubble burst. Sales in Sun's important hardware division went into free-fall as customers closed shop and auctioned high-end servers. October 1998: Beduin,  small software company that produced the "Impact" small-footprint Java-based Web browser for mobile devices. As of May 11, 2009, the following shareholders held over 100,000 common shares of Sun  and at $9.50 per share offered by Oracle,  they received the amounts indicated when the acquisition closed. In the early 1990s the company began to extend its product line to include large-scale symmetric multiprocessing servers, starting with the four-processor SPARCserver 600MP. This was followed by the 8-processor SPARCserver 1000 and 20-processor SPARCcenter 2000, which were based on work done in conjunction with Xerox PARC. 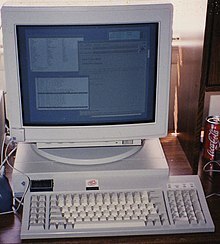 In 1995 the company introduced Sun Ultra series machines that were equipped with the first 64-bit implementation of SPARC processors ( UltraSPARC). In the late 1990s the transformation of product line in favor of large 64-bit SMP systems was accelerated by the acquisition of Cray Business Systems Division from Silicon Graphics. Their 32-bit, 64-processor Cray Superserver 6400, related to the SPARCcenter, led to the 64-bit Sun Enterprise 10000 high-end server (otherwise known as Starfire). 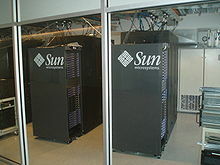 In September 2004 Sun made available systems with UltraSPARC IV  which was the first multi-core SPARC processor. It was followed by UltraSPARC IV+ in September 2005  and its revisions with higher clock speeds in 2007. These CPUs were used in the most powerful, enterprise class high-end CC-NUMA servers developed by Sun, such as Sun Fire E25K. In April 2008 Sun released servers with UltraSPARC T2 Plus, which is an SMP capable version of UltraSPARC T2, available in 2 or 4 processor configurations. It was the first CoolThreads CPU with multi-processor capability and it made possible to build standard rack-mounted servers that could simultaneously process up to massive 256 CPU threads in hardware (Sun SPARC Enterprise T5440),   which is considered a record in the industry. On September 12, 2005, Sun unveiled a new range of Opteron-based servers: the Sun Fire X2100, X4100 and X4200 servers. These were designed from scratch by a team led by Bechtolsheim to address heat and power consumption issues commonly faced in data centers. In July 2006, the Sun Fire X4500 and X4600 systems were introduced, extending a line of x64 systems that support not only Solaris, but also Linux and Microsoft Windows. On January 22, 2007, Sun announced a broad strategic alliance with Intel. Intel endorsed Solaris as a mainstream operating system and as its mission critical Unix for its Xeon processor-based systems, and contributed engineering resources to OpenSolaris. Sun began using the Intel Xeon processor in its x64 server line, starting with the Sun Blade X6250 server module introduced in June 2007. A 2006 report prepared for the EU by UNU-MERIT stated that Sun was the largest corporate contributor to open source movements in the world. According to this report, Sun's open source contributions exceed the combined total of the next five largest commercial contributors. In the late 1980s, AT&T tapped Sun to help them develop the next release of their branded UNIX, and in 1988 announced they would purchase up to a 20% stake in Sun. UNIX System V Release 4 (SVR4) was jointly developed by AT&T and Sun; Sun used SVR4 as the foundation for Solaris 2.x, which became the successor to SunOS 4.1.x (later retrospectively named Solaris 1.x). By the mid-1990s, the ensuing Unix wars had largely subsided, AT&T had sold off their Unix interests, and the relationship between the two companies was significantly reduced. The Java platform was developed at Sun by James Gosling in the early 1990s with the objective of allowing programs to function regardless of the device they were used on, sparking the slogan " Write once, run anywhere" (WORA). While this objective was not entirely achieved (prompting the riposte "Write once, debug everywhere"), Java is regarded as being largely hardware- and operating system-independent. In 1999, Sun acquired the German software company Star Division and with it the office suite StarOffice, which Sun later released as OpenOffice.org under both GNU LGPL and the SISSL ( Sun Industry Standards Source License). OpenOffice.org supported Microsoft Office file formats (though not perfectly), was available on many platforms (primarily Linux, Microsoft Windows, Mac OS X, and Solaris) and was used in the open source community. The principal differences between StarOffice and OpenOffice.org were that StarOffice was supported by Sun, was available as either a single-user retail box kit or as per-user blocks of licensing for the enterprise, and included a wider range of fonts and document templates and a commercial quality spellchecker. StarOffice also contained commercially licensed functions and add-ons; in OpenOffice.org these were either replaced by open-source or free variants, or are not present at all. 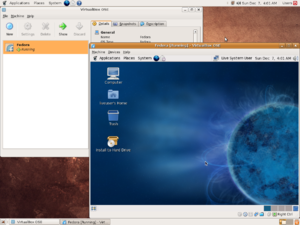 Both packages had native support for the OpenDocument format. Sun acquired MySQL AB, the developer of the MySQL database in 2008 for US$1 billion. CEO Jonathan Schwartz mentioned in his blog that optimizing the performance of MySQL was one of the priorities of the acquisition. In February 2008, Sun began to publish results of the MySQL performance optimization work. Sun contributed to the PostgreSQL project. On the Java platform, Sun contributed to and supported Java DB. Sun offered other software products for software development and infrastructure services. Many were developed in house; others came from acquisitions, including Tarantella, Waveset Technologies,  SeeBeyond, and Vaau. Sun acquired many of the Netscape non-browser software products as part a deal involving Netscape's merger with AOL. These software products were initially offered under the "iPlanet" brand; once the Sun-Netscape alliance ended, they were re-branded as " Sun ONE" (Sun Open Network Environment), and then the " Sun Java System". Sun staff published articles on the company's blog site. Staff were encouraged to use the site to blog on any aspect of their work or personal life, with few restrictions placed on staff, other than commercially confidential material. Jonathan I. Schwartz was one of the first CEOs of large companies to regularly blog; his postings were frequently quoted and analyzed in the press. In 2005, Sun Microsystems was one of the first Fortune 500 companies that instituted a formal Social Media program.